Believe it or not, children benefit the most from chiropractic care. Beginning chiropractic adjustments early on in life can set your child up for a lifetime of health and wellness. Because it is so much more than simply a solution for back, neck and shoulder discomfort, chiropractic care can help with many common childhood health problems. 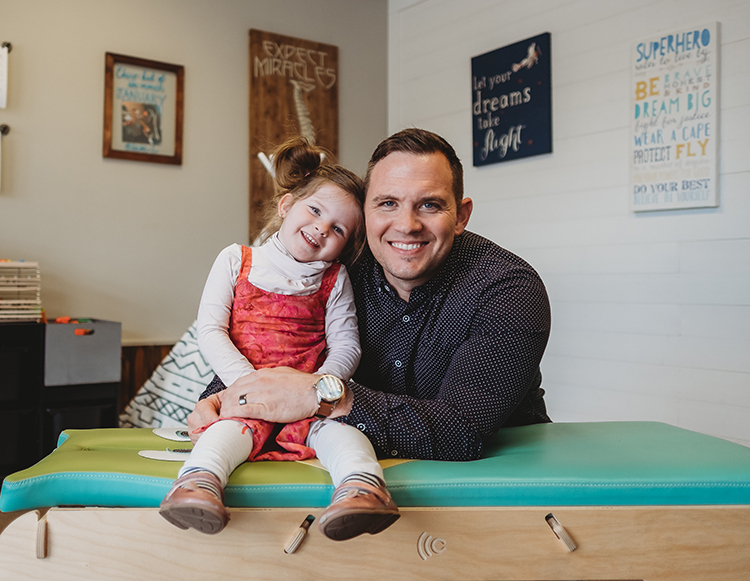 From colic symptoms and trouble latching to relief from constipation and ear infections, many prevalent childhood ailments respond to chiropractic care. Even if your child has been diagnosed with ADHD, autism, sensory processing disorder, anxiety, asthma, the common cold, reflux/GERD or headaches, chiropractic adjustments are proven to be effective in treating and addressing a variety of disorders specific to kids. By properly aligning the spine, chiropractic promotes a healthy nervous system and addresses issues at the root. Growing bodies rely on a healthy nervous system because they are changing every day and need clear communication pathways from the brain to the body in order to continue along the right trail. Schedule an appointment and get your kiddo adjusted today!